Screened in dining area seats 8. 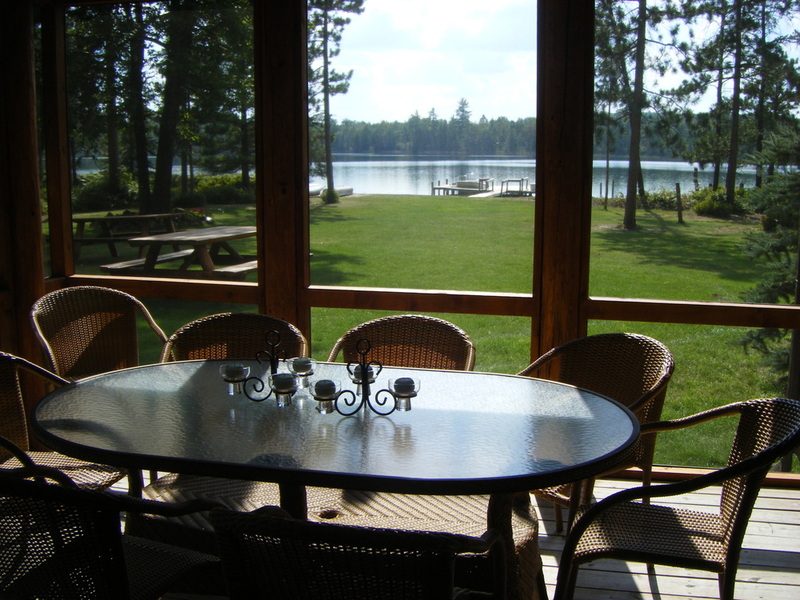 Additional seating inside for 12 and two picnic tables are located in the front yard. 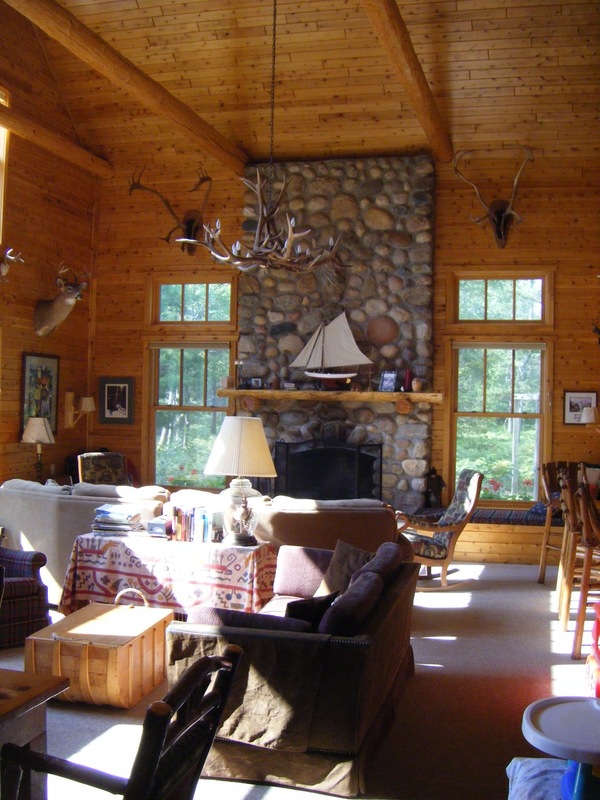 Great room includes multiple seating areas, stone fire place and stereo system. Enough Seating for 12 (if 2 sit on either end). 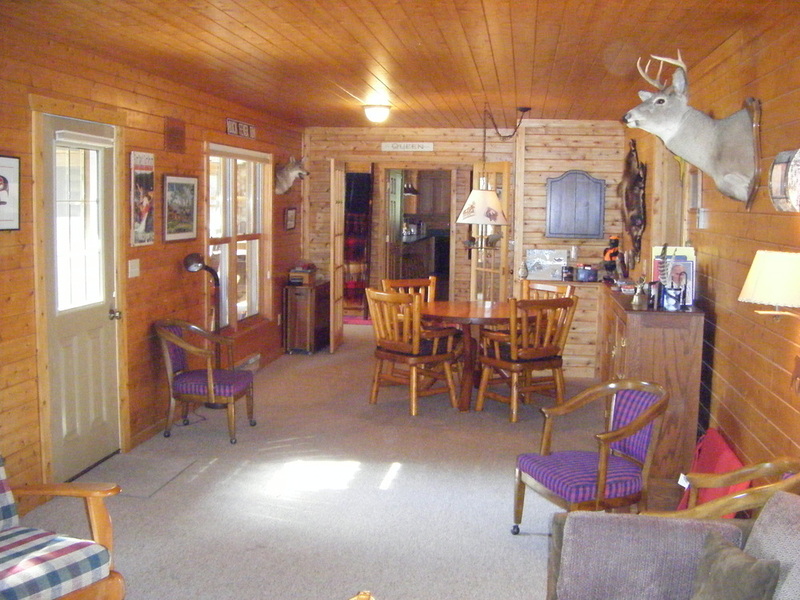 Additional dining area outside on screened in porch for 8 as well as 2 picnic tables in the front yard. Open countertop seating between kitchen and great room. Secondary living space with card table and additional seating. 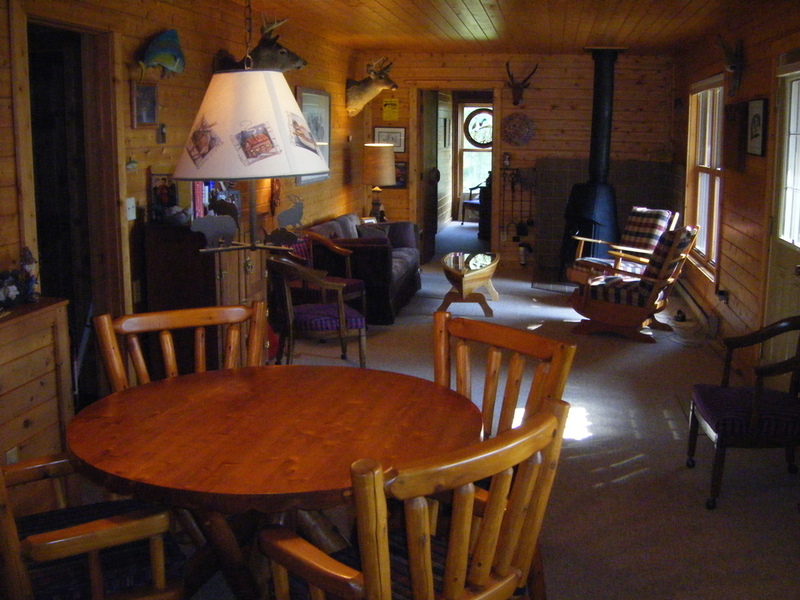 Additional view of secondary sitting living room that includes card table, wood stove and sitting area. 4 single beds. 2 Side by side, 2 bunked. Bathroom with shower ensuite. Three beds, 1 queen and single bunk beds. Ensuite bathroom with shower over tub. 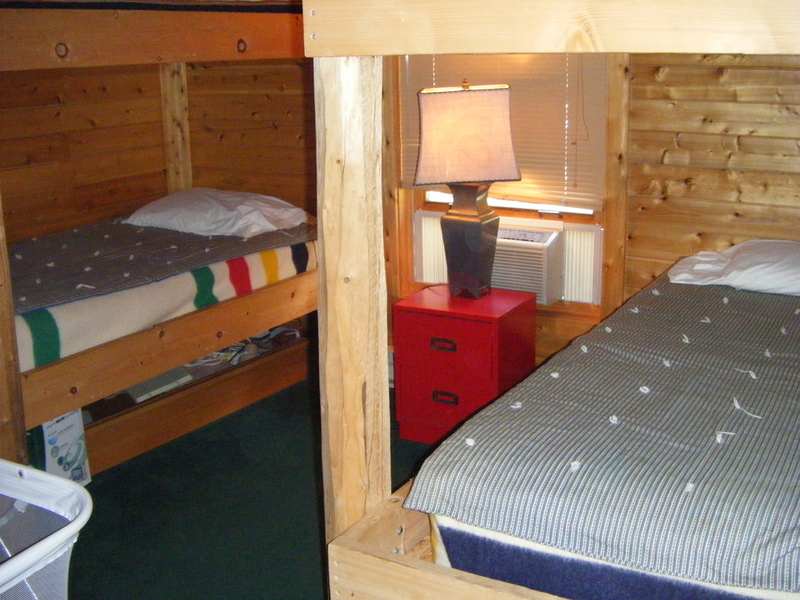 2 sets of bunk beds, sleeps 4 total. 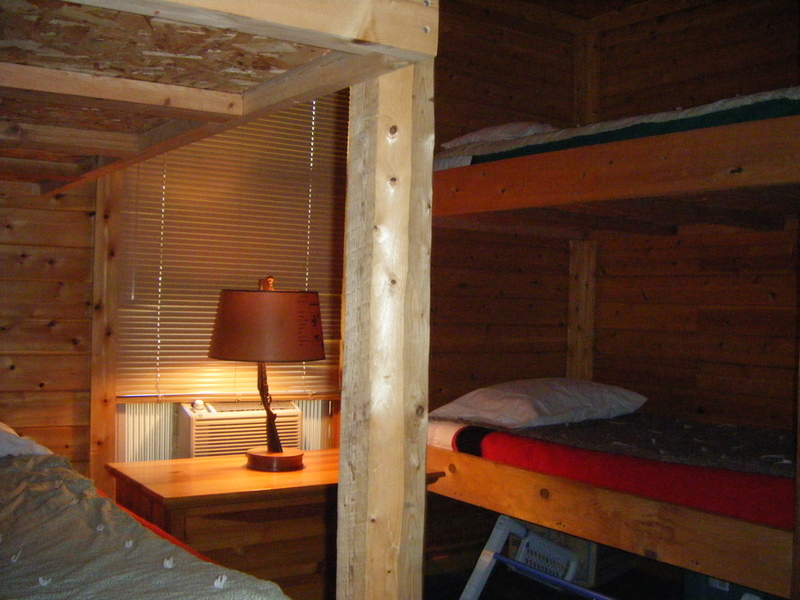 Sleeps 4 total, 2 sets of bunk beds. 1 Queen Bed, 2 Single Bed-size Cushioned Benches. Ensuite bathroom with shower over bathtub. 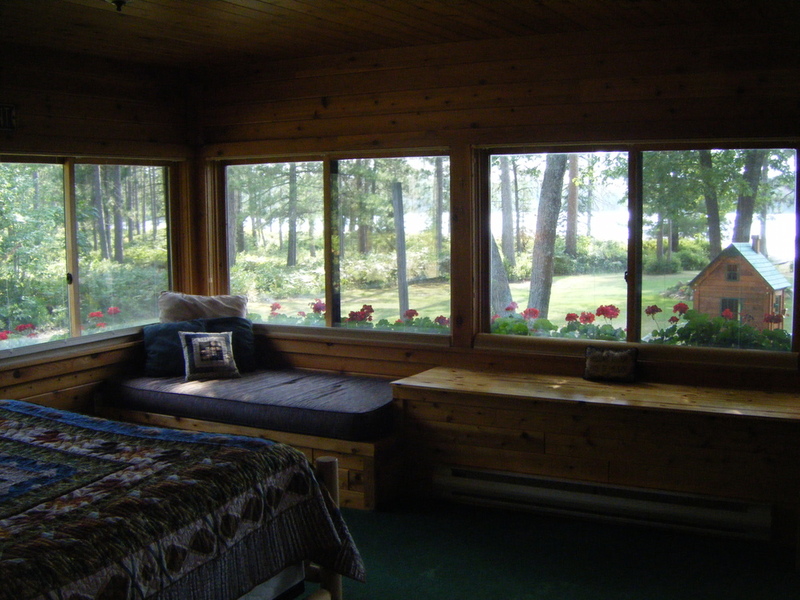 Master Bedroom with ensuite bathroom and view of the lake. Front yard, facing Walled Lake. 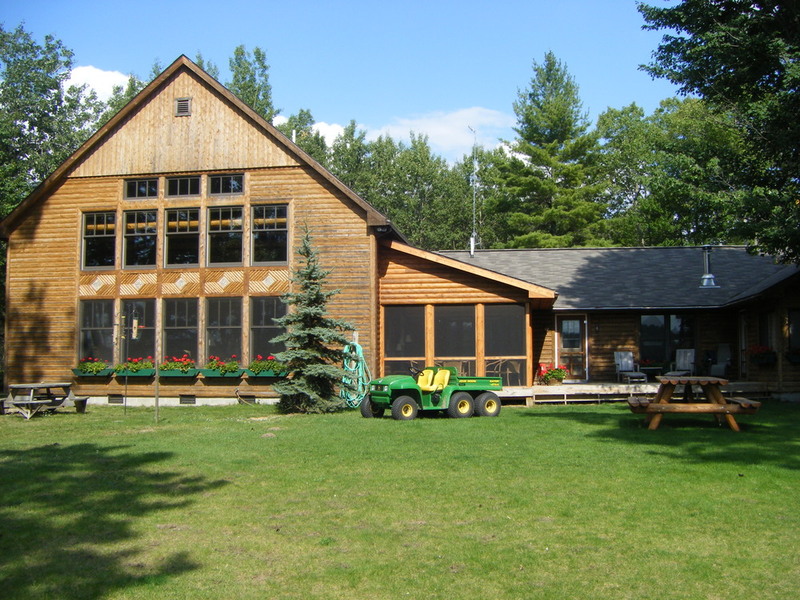 The Black River borders Walled Lake Lodge's Property. Dollar Lake greets you on your drive into the Lodge.